Is excited to be launching the ground-breaking new 2017 TrailLite model with over 50 changes and two new floor plans including a whole side slide out Wanaka model and a 7.1m Matakana with a dropdown bed. The new model was developed after months of planning and product design as well as consultation with TrailLite customers about what it takes to raise the bar even further in the company’s luxury motorhomes. Will exhibit a selection of brand new motorhomes and caravans from top brands such as KEA, Roller Team, Elddis and Swift Lifestyle. New offerings from KEA will include the new KEA Cascade, which is built on a Mercedes chassis, and the new design of the KEA Breeze. They will also be showcasing a new Roller Team model – the A Class Trailblazer, as well as the popular Rambler, Conquest, Scout and Discovery models. 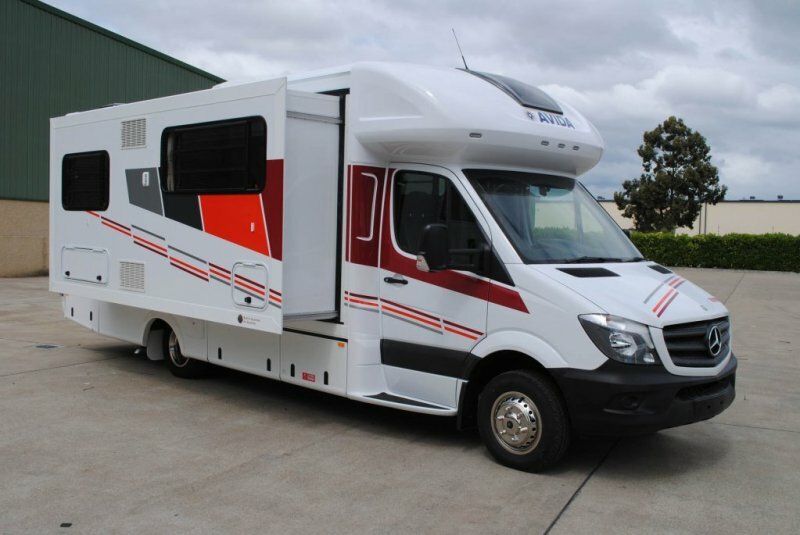 Is proud to present the first of its new releases from Avida – the Torquay motorhome. Built on the Mercedes 519 Sprinter, the Avida Torquay will feature a full slideout and will be offering a high-gloss look throughout the vehicle. Want to see one of the most spacious kitchens and lounges available in a single-axle caravan? 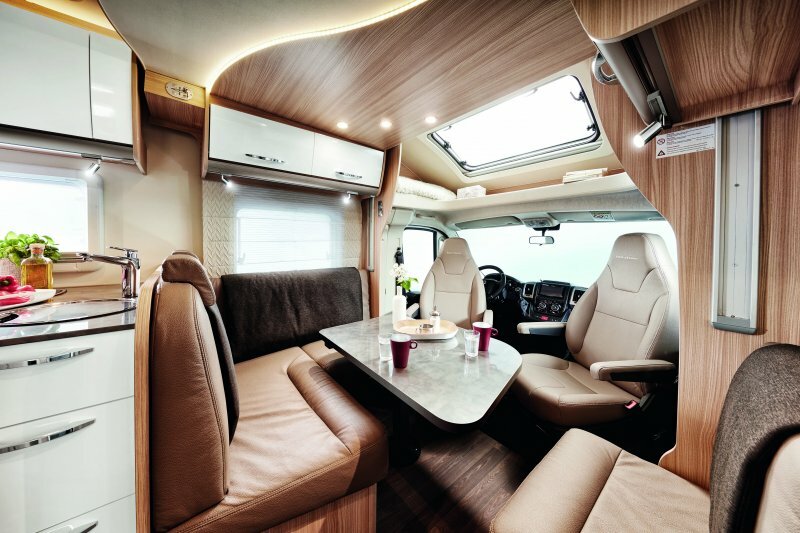 The Dethleffs Nomad 590 RF is a user-friendly 6.75m long, but it’s full 2.5m wide and the clever layout allows for an enormous kitchen and a 7-seater lounge. You’ll be equally impressed by the 480kg payload. With 2.05m of headroom, functional double flooring, clever LED lighting and a spacious bathroom with no wheel arches in the shower, the new Burstner Lyseo T734 will allow you to experience more freedom, greater comfort and better ergonomics. SmartRV will also officially launch the Hymer brand at the Covi Show. From March 2017, New Zealanders will have access to the finest quality motorhomes with superior comfort and extensive safety features from the renowned European market leader. Will be launching the new 2017 Roller Team T-Line 740, which offers a new solution of rear central bed with big dimensions, giving maximum comfort and living space. A completely new layout with day and night separation thanks to the sliding doors of the bedroom and toilette. Comfort is assured by an L shaped dinette, and a practical L-shaped kitchen. Will be using the show for the first public viewing of the German manufactured Carthago motorhomes, which are widely recognized for their exceptional build quality and superb features. There will be a broad range of these vehicles on display including the much admired E-Line. Will be introducing the cost-effective ‘My First Caravan’, which Brays have developed after years of restoring retro and new caravans. 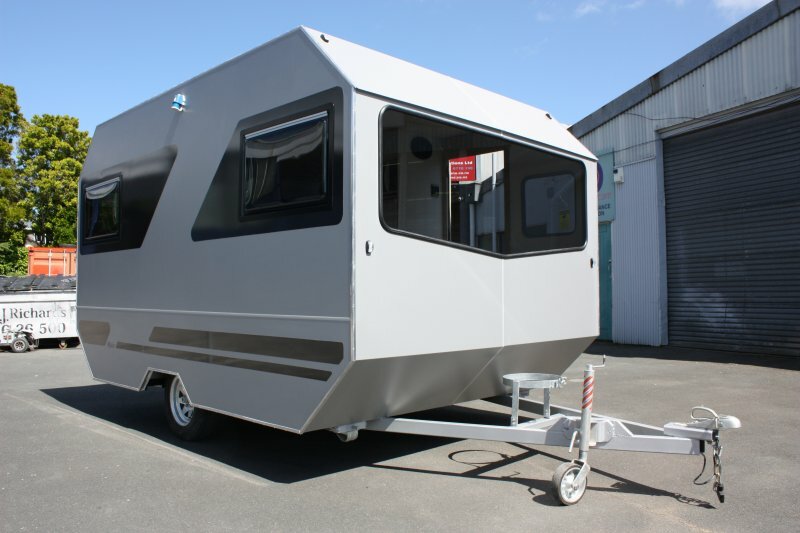 The ‘Ngaio’ caravan starts at $32,000 as a special price, limited to the first four caravans. Twelve feet long, three-berth it’s complete – ready to go caravanning.